Happy World Book Day, Everypony! I'm sure @Twilight Sparkle is having a wonderful World Book Day, too! Sometimes, when I'm out in the field I can still hear Autumn Blaze singing. That happens to me sometimes, too, when I'm taking a walk with the animals. It's quite alright, Princess. Take all the time you need. "Does your sister have a new special somepony, too?" Maybe. I'll have to ask Princess Twilight about it. Something like, "What did I just see?". If those vampire fruit bats make their return... Either that or Twittermites. 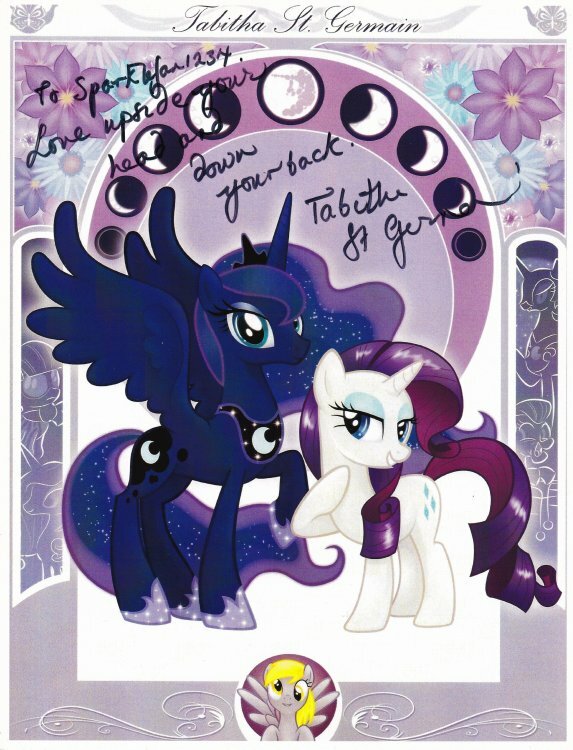 If I had Equestrian magic, I hope I would be a somewhat powerful Unicorn like my BPFF, @Rarity.